If you’re not already aware, Valve is creating it’s own hardware to run Steam to try and create the ultimate gaming experience. This hardware is just a prototype and the final product isn’t due until 2014, but 300 lucky Steam users will get to beta test the system sometime this year. Currently, there are no images of the prototype hardware but in a recent post from the company they have provided us with some pretty serious specs. As a hardware platform, the Steam ecosystem will change over time, so any upgrades will be at each user’s discretion. In the future we’ll talk about how Steam will help customers understand the differences between machines, hardware strengths and weaknesses, and upgrade decisions. The Apple Sept. 10th event has announced a lot of new exciting updates. iOS 7 will be available, for free, starting on September 18th. This will be for the iPhone4 and up, and also iPad2 and up. If you’d like a quick run-down on some of the features head here. Onto the iPhone5C and iPhone5S. Apple has stated that once they release the 2 new phones, the iPhone5 will no longer be sold. Colors will be what we expected, green, grey, light blue, peach, and yellow. Steel Enforced with a multi band antenna. Hard coated polycarbonate back, with a glass front. New camera app with live photo filters. 3x video zoom. 16GB priced at $99, 32GB for $199 with a 2-year contract. Yes Apple is sticking with the half upgrades as they announced the iPhone5S as we all expected. They announced a whole new chip, the M7 which will continuously measure motion data, accelerometer, gyroscope, and compass. This chip enables a new generation of health and fitness apps. There’s a new, 5-element, Apple-designed lens with f/2.2 aperture. A 15 percent larger sensor. “When you do take a picture, unbeknownst to you it actually takes multiple pictures.” This phone will automatically choose the best one for you. 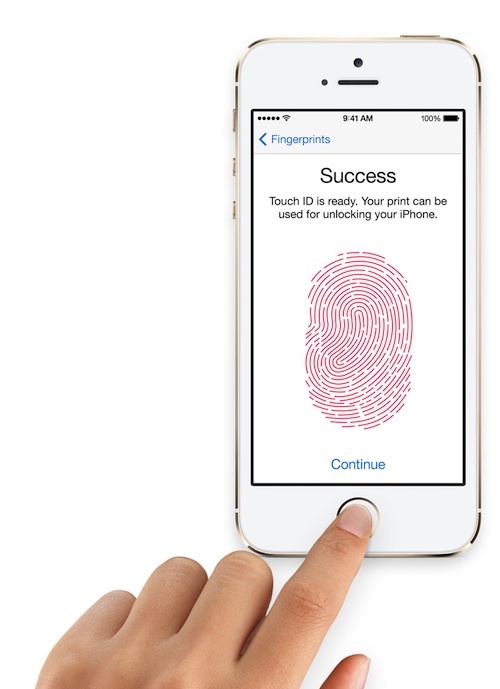 Touch ID, fingerprint. built right into the home button. It’s still a physical button, that you need to push down, but there’s a metal ring that senses your finger. This feature can also be used for iTunes purchases. 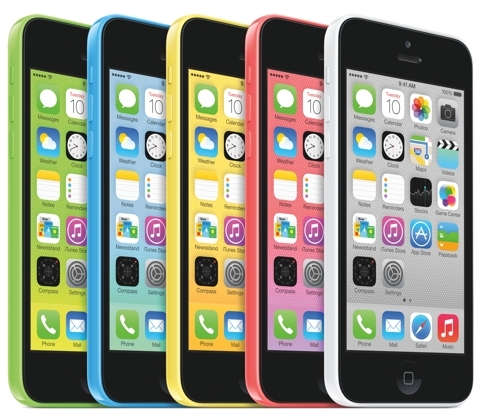 You can pre-order the 5C on September 13th and purchase the 5C and 5S on the 20th. To watch the full event head over to Apple.com. 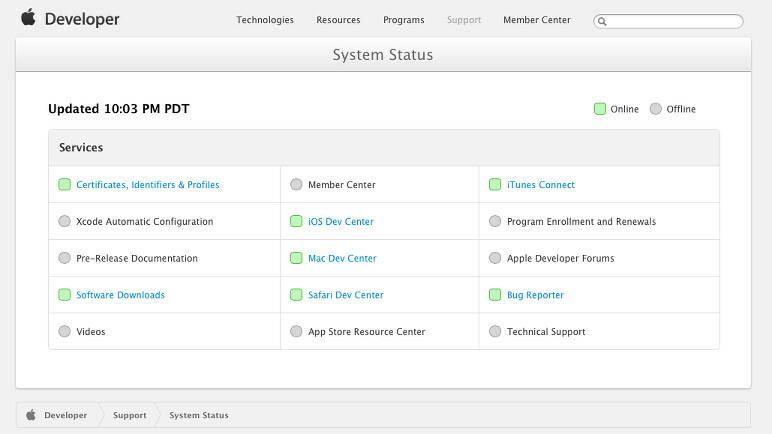 It’s been over a week now since Apple’s Developer Center has gone offline. This is all thanks to an intruder that hacked his way into the developer center last Thursday. Apple has since promised to completely rebuild everything and to slowly bring things back online. They have created an status page that shows the progress of their developer system and as of today, about half of it has come back online. Here’s the actual statement that was sent out to developers via email.